Billion-dollar question: Is China's 'Silk Road' really worth its cost? 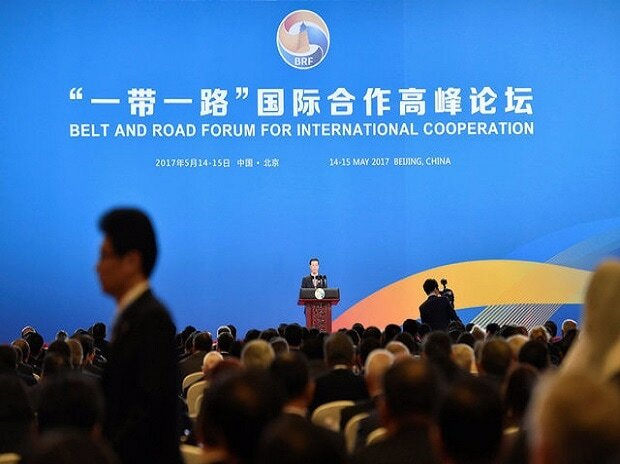 China's ambitious One Belt One Road (OBOR) initiative is a global security threat, according to conclusions reached by various experts from renowned European think tanks. Addressing a seminar titled 'China's Belt and Road Initiative and its impact on Europe' held under the aegis of The Democracy Forum (TDF) at London University's Senate House, TDF President Lord Bruce spoke about the global fears of Chinese hegemony surrounding the Belt and Road Initiative or the BRI. "Is it simply a trade and security network as conveyed by the Chinese," he wondered, albeit a hugely costly one that comprises at least six geographic corridors, or a 'multi-headed hydra unashamedly aligned with national self-interest'? In light of the huge hike in Chinese investment in the European Union (EU) in 2016, Lord Bruce said that the essential challenge for the EU was to maintain a collective front, in the face of China's expansion. John Hemmings, Director of Asia Studies at the Henry Jackson Society, highlighted the inter-linkages between China's foreign policy, aid, infrastructure, technology and sea-lane security while noting that the BRI presents opportunities as well as security challenges. Theresa Fallon, Founder and Director of the Centre for Russia Europe Asia Studies (CREAS) while giving an overview of the BRI, spoke on the problem of BRI partner countries falling into the Chinese debt-trap. She stated that "this trap not only affected countries such as Sri Lanka but also potential EU member states straddled by the BRI, including Serbia and Montenegro". Fallon felt that as a result of Chinese debts, generated by BRI projects, these countries would find it difficult to join the EU. She also addressed the clash of values between China and Europe amid growing concerns that the BRI was an attempt to shape the world according to China's interests. Warning that a divided Europe was an opportunity for Beijing, she asserted that European nations were required to observe 'constructive vigilance'. Meanwhile, Andrew Cainey, Associate Fellow at Chatham House, said that while the BRI was fulfilling needs in some of the emerging economies, with infrastructure investment - a key enabler of economic growth, this came with major caveats, since financing was not on concessionary terms, and oversight of actions of State-owned Enterprise and tackling corruption were major issues in China, as in many of the BRI countries. He assessed that the BRI's 'vagueness' could prove to be an advantage for the West, providing Western governments and multilateral institutions with opportunities to latch on to the positives and push back on the negatives. The implication of the BRI for the international rule of law was the focus for Kathryn Rand, Assistant Director at the Great Britain China Centre, who said that an interesting aspect of the BRI was the nexus of politics and law. She observed that a huge challenge facing China would be the need to provide legal certainty for business, while also maintaining its political oversight of the judiciary. Andrew Small, Senior Transatlantic Fellow, Asia Program, the German Marshall Fund looked beyond the backlash against the BRI, asking whether Beijing could re-balance the initiative. He also spoke of the debt trap affecting partner countries and how it was extremely damaging to China's reputation. Small said that apart from censure from countries such as the US and India, there has been much criticism of the BRI's lack of transparency, among others, from ally Pakistan, and from inside China itself regarding its excessive nature. He, however, concluded that the BRI was here to stay. Pervez Hoodbhoy, Zohra and ZZ Ahmed Foundation Distinguished Professor at Lahore's Forman Christian College, looking at the BRI in the context of the China-Pakistan Economic Corridor (CPEC), lamented the continued lack of transparency about Chinese investments in Pakistan and failure to hire enough local labour, except in the area of security, where some 12,000 local forces were employed in regions such as Balochistan and the port of Gwadar. He maintained that complaints had also arisen about Chinese companies operating in SEZ being untaxed. Hoodbhoy also expressed concerns about the dearth of local goods, which have been replaced by Chinese products. He questioned China's inroads into the low-tech agricultural sector and pointed to warning signs coming from the Chinese purchase of land. Regarding sustainable development, Hoodbhoy expressed concern over the massive Chinese coal mining projects impacting water availability and causing air pollution. He felt that he does not believe that CPEC was a purely commercial project, as what is happening around Gwadar and Balochistan was more strategic, and local people were not getting their fair share of benefits. Sarah Ashraf, Policy and Research Manager, Institute for Strategic Dialogue, described the BRI as 'less an institution with clearly defined rules, and more like a strategic vision'. Barry Gardiner MP, Shadow Secretary of State for International Trade, said the seminar had generated huge amounts of intellectual stimulation. He asserted that "the Chinese were doing imperialism better than we did".